These are the stories discussed on Euronews' Raw Politics show tonight, the full version of which you can watch in the video player, above. Theresa May arrived back in Brussels on Thursday trying to win something she's been told repeatedly she can't have: a change to the Irish backstop. Heaven to hell and everything in between, reaction grows to Donald Tusk's inflammatory comments. 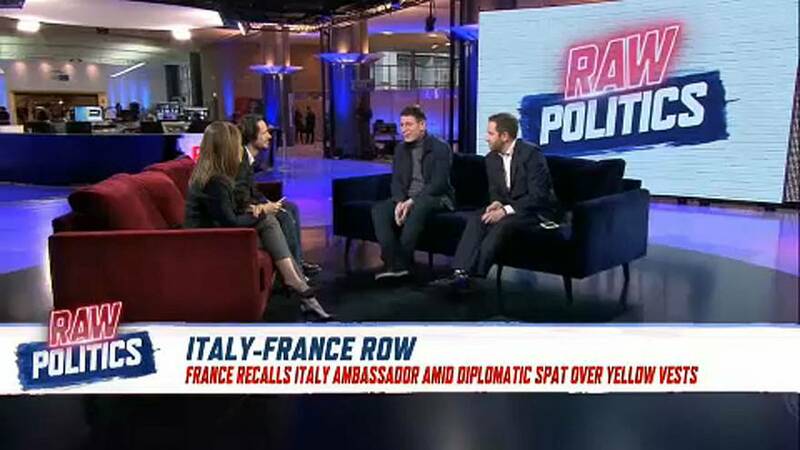 France today recalled its Italy ambassador for "consultations" following weeks of rising tensions with Italy. Paris says there have been repeated attacks on an unprecedented scale from Rome. France's move comes after Italy's Deputy Prime Minister Luigi Di Maio this week met with "gilets jaunes" ("yellow vest") protesters. Economists warned today of the impact of Italy's recession on the rest of Europe as the country’s growth forecasts were slashed to a five-year low. The European Commission predicts growth in the Eurozone will slow by 1.3% this year.